Australia has awarded Rheinmetall an order worth €2.1 billion (AUD3.3 billion) for 211 Boxer wheeled armoured vehicles. The contract was signed at Parliament House in Canberra on 17 August by the Prime Minister of Australia, Malcolm Turnbull, and the Managing Director of Rheinmetall Defence Australia, Gary Stewart. The Boxer was selected to provide the Australian Army’s next generation Combat Reconnaissance Vehicles (CRV) as part of the multi-billion-dollar Land 400 Phase 2 Project. Delivery of the advanced 8x8 Combat Reconnaissance Vehicles (CRV) will take place between 2019 and 2026. Prime Minister Turnbull first announced his government’s intention to order the fleet of Boxer vehicles in March 2018. Rheinmetall CEO Armin Papperger said the order is one of the biggest in recent history for the German armoured vehicle manufacturer. The Boxer is already in service with, or being procured by, the armed forces of Germany, the Netherlands and Lithuania. Following Australia's announcement that it had chosen the Boxer, the UK Ministry of Defence announced plans to rejoin the Boxer programme and not run a competition for the UK Mechanised Infantry Vehicle programme. 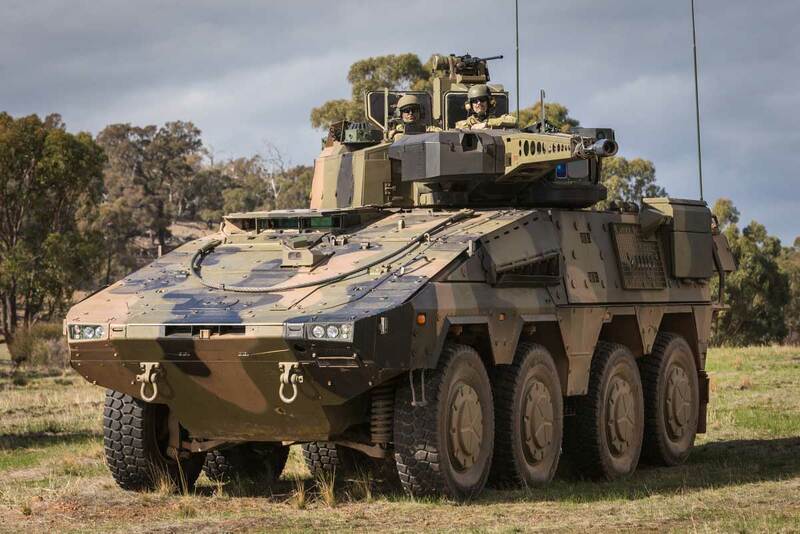 The Australian Defence Force (ADF)will introduce several variants of the Boxer with the reconnaissance variant accounting for 133 of the 211 vehicles. It will be equipped with Rheinmetall’s Lance turret system and armed with a 30 mm automatic cannon. The Boxer CRV was selected after rigorous trials conducted by the ADF. Under Australia’s Land 400 Phase 2 selection process, the Boxer CRV was chosen in 2016 as one of two candidates for Risk Mitigation Activity trials where the 8x8 wheeled armoured vehicle performed convincingly, says Rheinmetall, in the categories of survivability, mobility, firepower, and command & control. Rheinmetall is working closely with Australian defence industry, having established a strong, highly effective team in the country. A significant share of the industrial value added during production of the Boxer will take place in country. More than 40 Australian companies will be included in the programme. Head of Rheinmetall’s Vehicle Systems Division Ben Hudson said the Boxer CRV is the most capable, survivable and adaptable field-armoured fighting vehicle available today. “The Boxer CRV is highly protected against both asymmetric threats that have been faced by Australian soldiers in recent operations, while also being highly protected against conventional battlefield threats that our soldiers may face one day in a conventional war-fighting scenario,” he said. Stewart said production of the Boxer vehicles would take place in a dedicated new facility in Queensland in partnership with the Queensland Government. “This will allow us to establish a sovereign military vehicle industry in Australia that will underpin the enduring partnership with the government to design, manufacture, deliver, support and modernise this world-leading capability,” he stated.